Colombia’s President Juan Manuel Santos asked his American counterpart Donald Trump to urge Russian leader Vladimir Putin to stop supporting Venezuela’s government. Santos took to Twitter on Saturday to ask Trump to address Russia’s support for the authoritarian government of Venezuelan President Nicolas Maduro. The governments of both Colombia and the United States fiercely oppose Maduro. Russia, however, has been accused of helping Venezuela evade sanctions imposed by Washington DC. Furthermore, Venezuela’s military appears to have received thousands of Russian surface-to-air missiles, according to news agency Reuters. “To contribute to the crisis in Venezuela I am asking President Trump to request Putin to stop supporting the Maduro regime,” Santos said. Para contribuir a la solución de la crisis en Venezuela, le pido al presidente Trump @POTUS que le solicite a Putin dejar de apoyar al régimen de Maduro. According to US media, Moscow secretly helped Venezuela launch a state-backed cryptocurrency in an effort to raise money and avoid US sanctions imposed on the South American country in August last year. 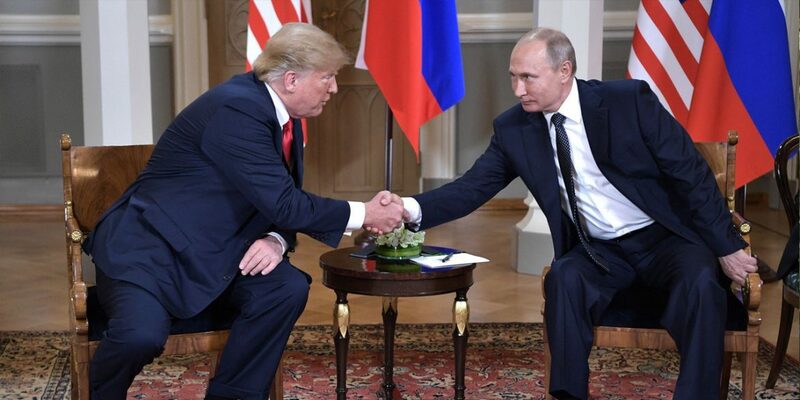 Whether Trump will have time or attention for South American issues when both leaders meet in Finland is uncertain as ties between the US and Russia have “NEVER been worse,” according to the US president. According to Trump, the traditionally complicated relationship has worsened because of “stupidity” of his predecessors and an inquiry into Russian meddling in the 2016 election. Relations with Russia have been strained since 2014 when Moscow annexed Crimea in 2014. The situation got even more complicated after reports emerged that Putin helped Trump get elected. According to the eccentric US president, criminal investigations into Russian meddling are a “Rigged Witch Hunt” despite multiple guilty pleas by some of his closest aides during the 2016 presidential campaign. The two leaders met behind closed doors in Helsinki to “talk in detail about our bilateral relations and various problem areas in the world. There are a lot of them,” according to Putin.